Apparently, the same is true of dead cats and precious metals... Or for that matter - the dollar, the euro, the yen, the Nikkei - heck, it's Clash of the Titans - but no one looses. 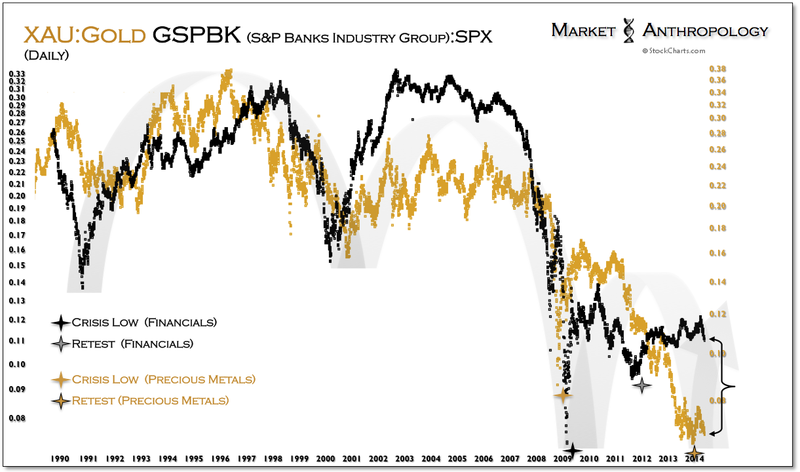 Case in point, while as much as the SPX refuses to roll - the same is true for precious metals. And although the US dollar is wounded, the euro can't quite seem to break out. The Nikkei, which has limped with all the vulnerabilities of a lamb at the alter, has evaded judgement once more and its apparent contractual retracement obligations. 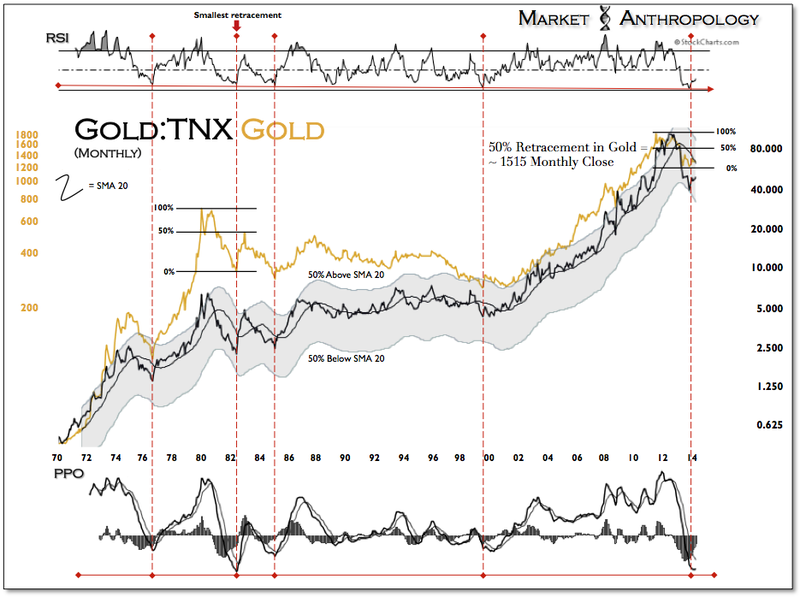 Nevertheless, and similar to Thompson's unfortunate and self-directed fate, we are still of the opinion that dead cats are not really living - moreover, silver and gold remain precious positions to hold. 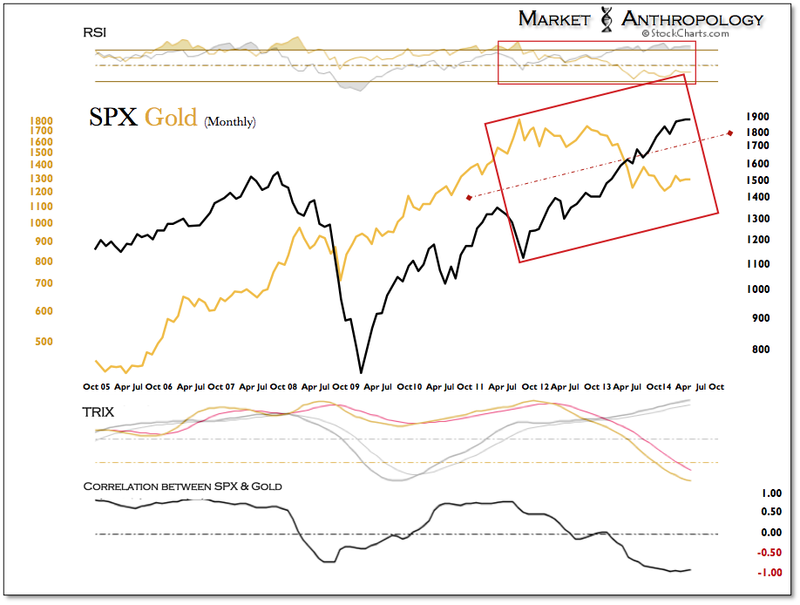 Since their respective pivots in the back half of 2011, US equities and the precious metals sector have followed a divergent and mirrored path. 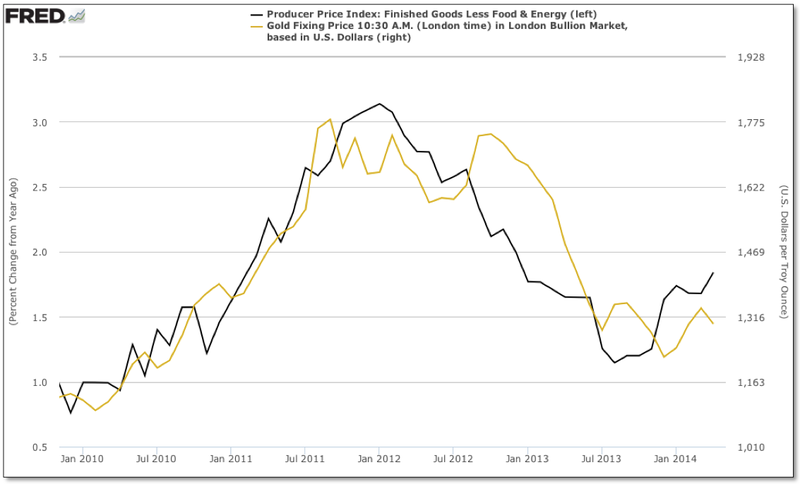 For all intents and purposes, it was a pairs trade short inflation through the sweet spot of the cycle. 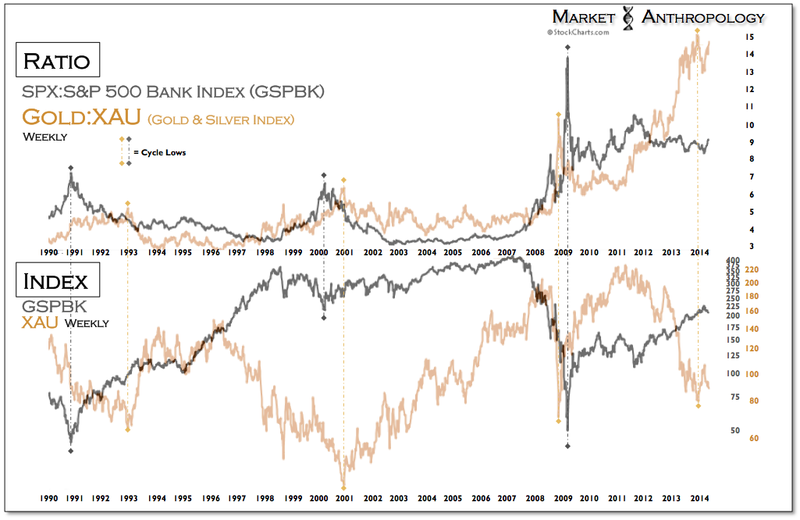 With inflation starting to perk up, we see the macro backdrop continuing to improve for precious metals - while the effects on the equity markets are much less certain. 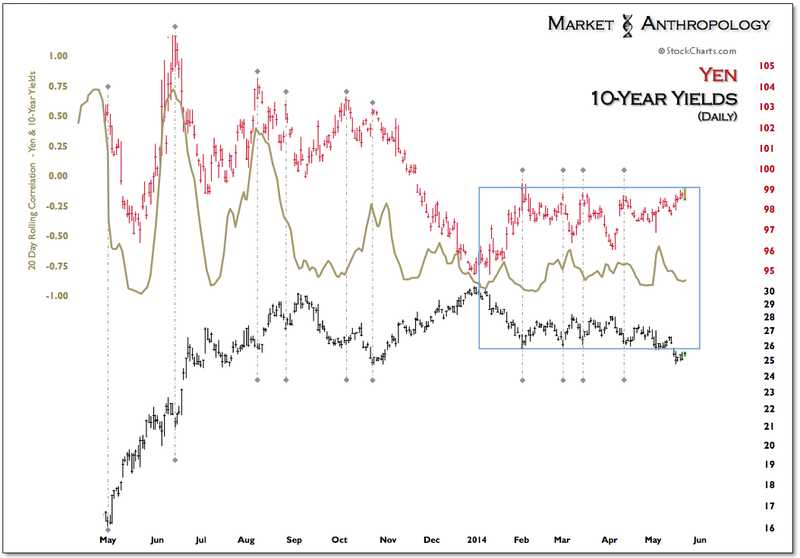 And although many participants had expected long-term yields to rise in an inflationary environment, we held the opinion going into this year that market conditions were primed to run against the grain when it came to 10-year yields. Buttressing these conditions were the behavioral bias taught over the past three decades that despite the contradiction in the market, participants would still support Treasuries in the face of rising inflation expectations. These were also the same dynamics witnessed in the mid to late 1940's and described by Friedman and Schwartz in A Monetary History of the United States. Their abstract conclusion was that despite the double-digit inflation period that broke out subsequent to the Fed's visible support of the Treasury market, participants still had an appetite for Treasuries over equities - because underneath they didn't trust a system so heavily supported by the Fed. That said, the proverbial rubber band was stretched to a relative extreme last year in gold and long-term yields and we expect the release to hold considerable energy, as presented in the study below. 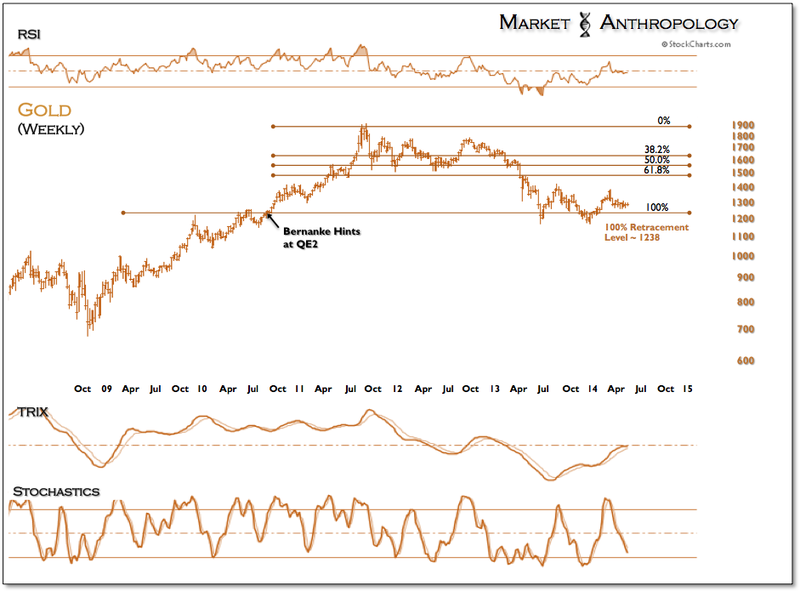 Technically speaking, silver is working on a rare triple bottom above the QE2 breakout. While the narrowing range has taken almost a year to traverse, we expect patience will pay handsomely and make the extended stay worthwhile. 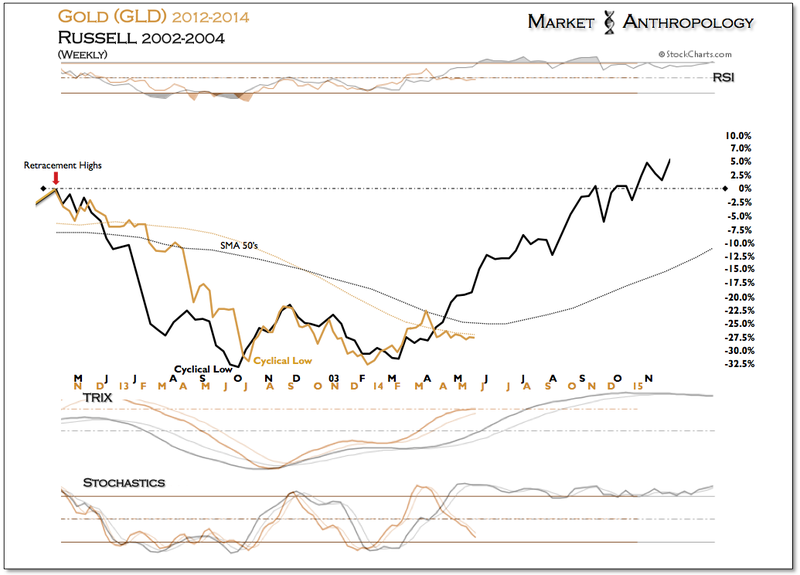 Generally speaking, the longer a position bases - the greater its appreciation on breakout. From a momentum perspective, silver looks the part and has coiled momentum divergences representative of an impending upside resolution. The same holds true with gold. 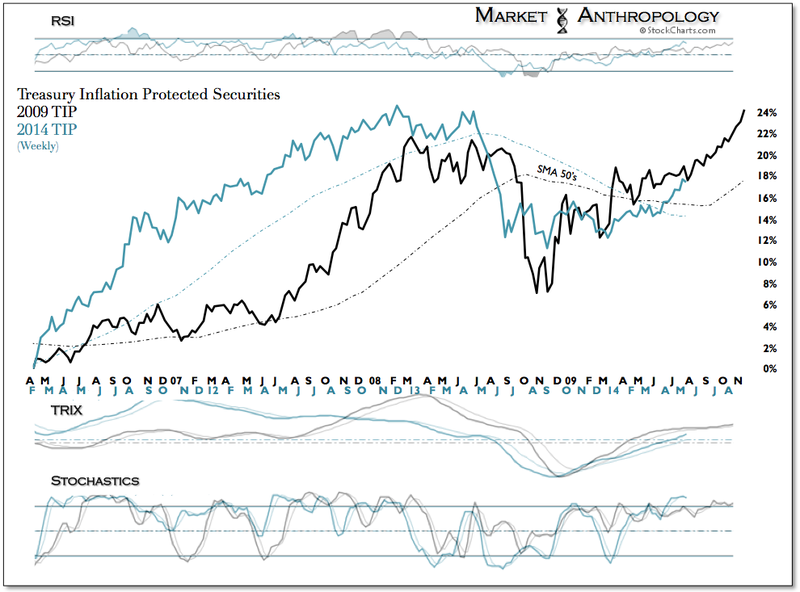 Although spot prices have triple-backed support below their SMA 50, we expect the outcome for the sector to be similar of the drawn-out bases the equity markets pivoted from in 2003. The bottom line: the longer the base - the greater the pressure becomes at release. 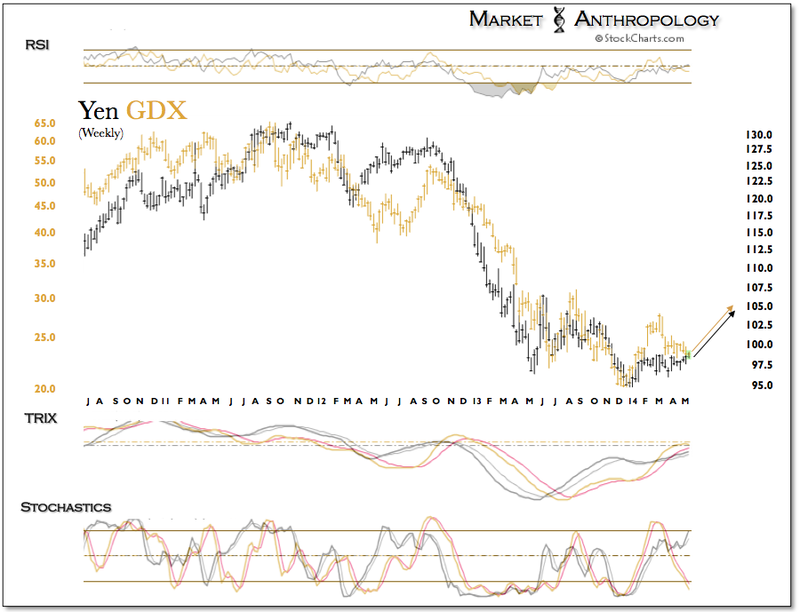 Bullish tea leaves have remained visible around the edges this year as their respective miners (as expressed in the XAU gold and silver index) have continued to outperform spot prices - while working on completing a complicated long-term low. Completing the circle and maintaining our expectations that similar to the financials in March of 2009 and in the back half of 2011, the miners have offered up excellent risk/reward valuations - against a long-term backdrop that still presents a bull market intact. 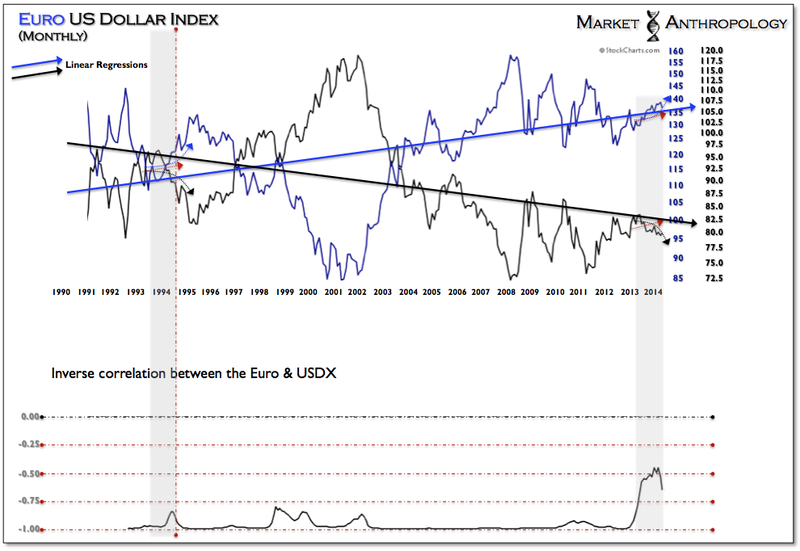 The US dollar and the euro have been trading jabs over the past two years and listing ever so slowly in the direction of their respective long-term trends. Our expectations remain that despite the efforts of the ECB, the euro will break higher - accelerating the burgeoning inflationary trends abroad in the US. 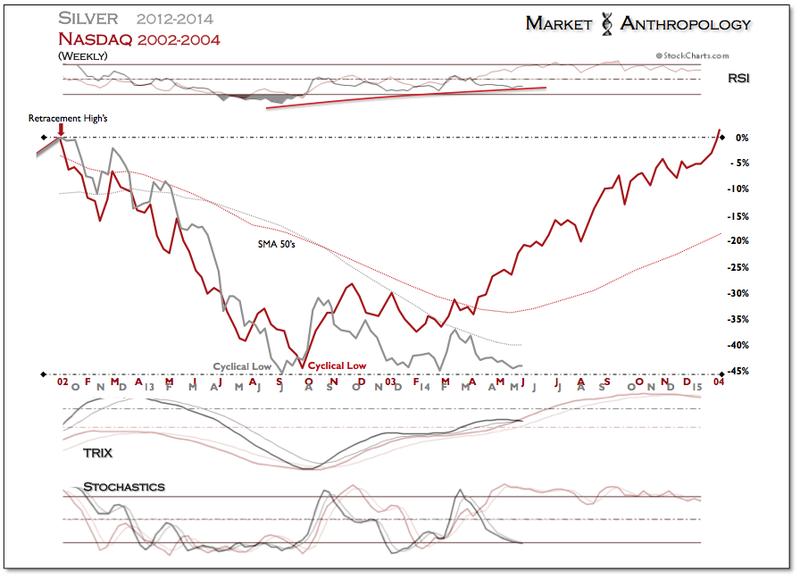 Since last fall, the US dollar index has traded between retracement levels of the 2011 Q2 low. 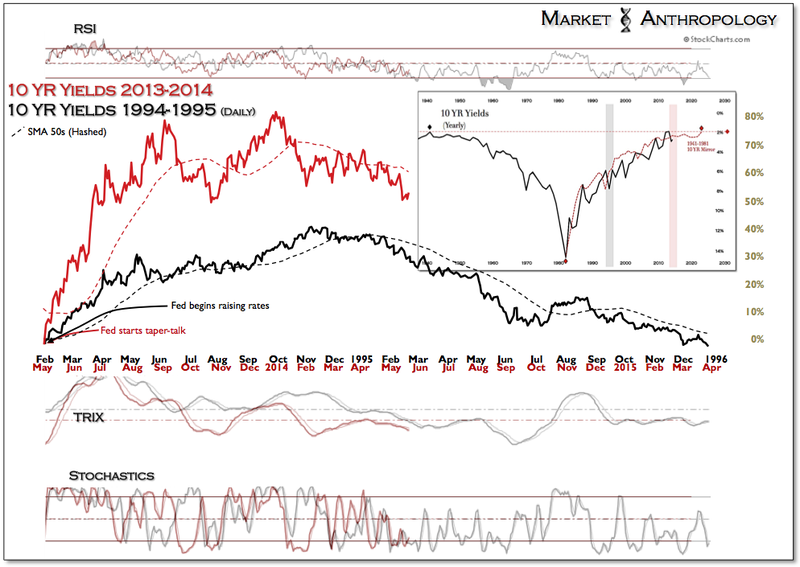 We anticipate similar to market conditions present in 1994/1995, the index will roll-over and test the lower limits of its long-term range. Helping things along have been the structural deflationary conditions present in Europe that Draghi has attempted to keep at bay by jaw-boning the euro lower at pivotal resistance. We expect these efforts will largely fail and still have a favorable opinion of the euro. 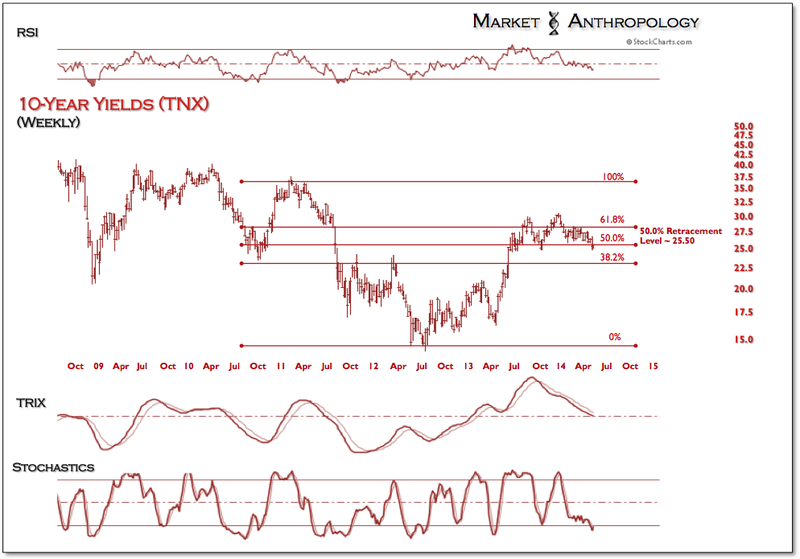 10-year yields have also been held between their respective retracement levels since last fall. 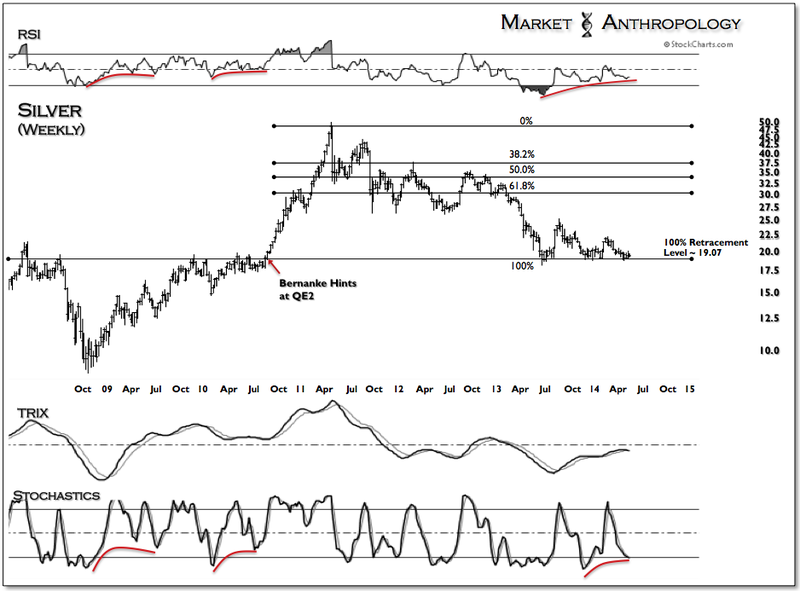 However, yields have been the first to break down - which we anticipate should lead to an acceleration of trend lower and a leading indication of downstream pivots across asset classes. While 10-year yields have broken lower, the Japanese yen has been held at resistance within its flagging and narrow range this year. 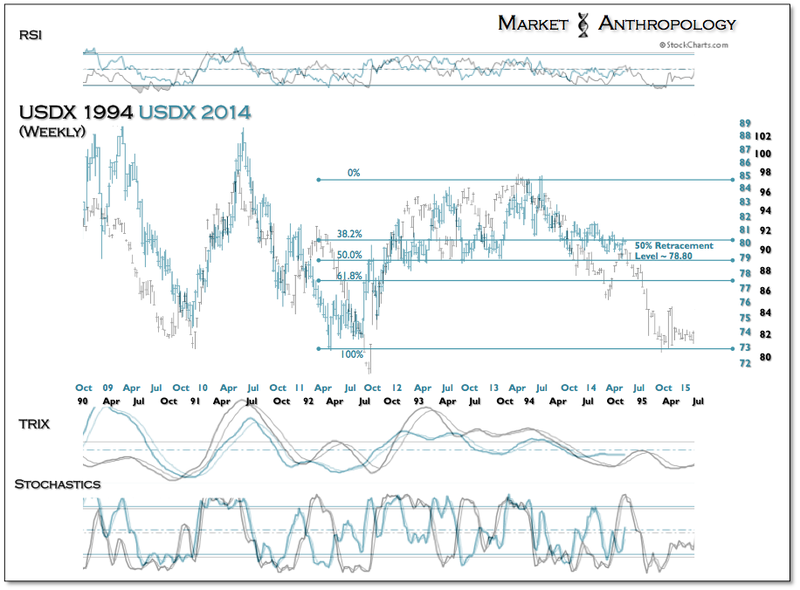 Our best guess is the next step lower in yields should break through the topside range in the yen. 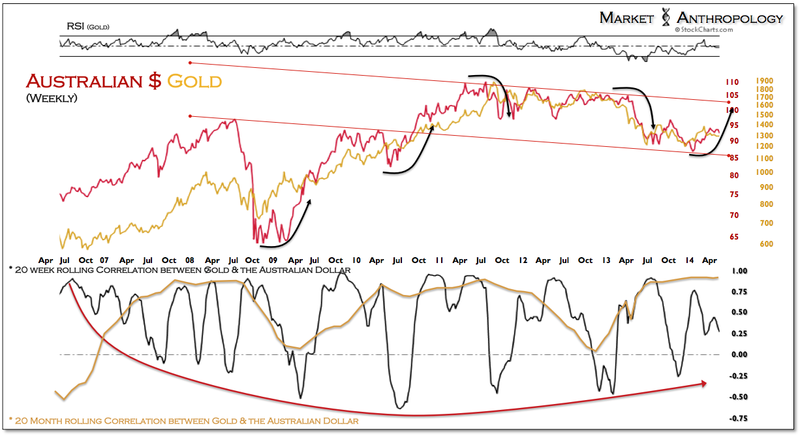 Commodity currencies such as the Australian dollar continue to trend with precious metals. 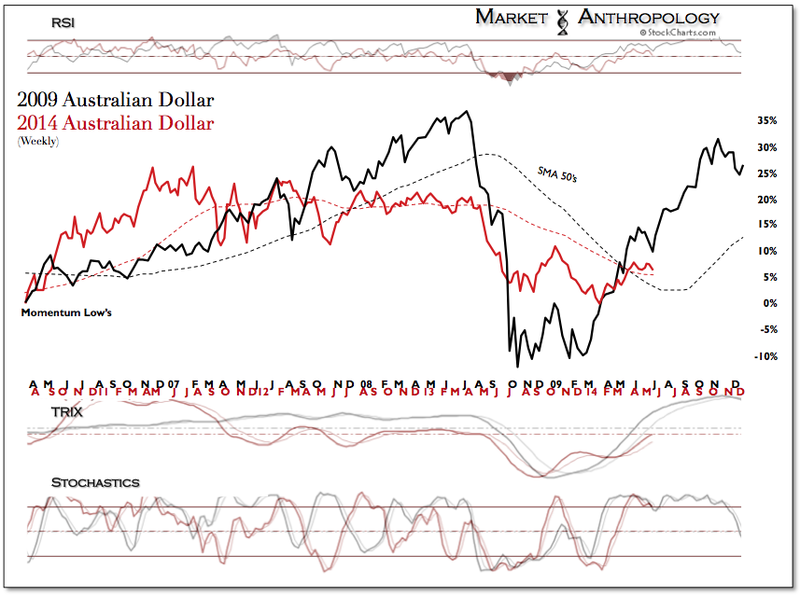 Emblem of the newer normal, we expect the Australian dollar to outperform as another wave of inflation perks through the system.